Martinize THIS! Factors such as cost, convenience and the creeping casualness of modern life have condemned countless dry cleaners to in-solvent-cy. 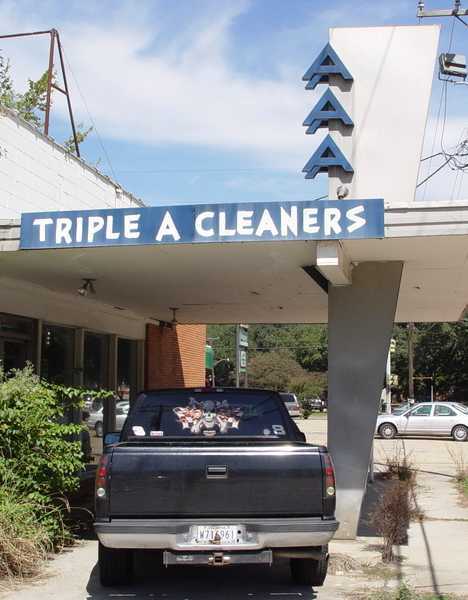 How do you know a dry cleaning business has been around a LONG time? Well, one clue is when its name begins with “AAA” to get it listed on the front page of the Yellow Pages directory. Another is the presence of funky fab fifties (AAA opened back in ’57) flying buttress architecture fronting the facility. According to the folks behind Abandoned Baton Rouge, “AAA Cleaners is another place with that Night of the Comet feel… as if people just vaporized, leaving their everyday items.” Vaporized or Martinized, interior shots of Triple A Cleaners hint at something not quite right at the longstanding Louisiana landmark though there are no clues at press time. We said “press” time, heh. Got no time for One Hour Martinizing? 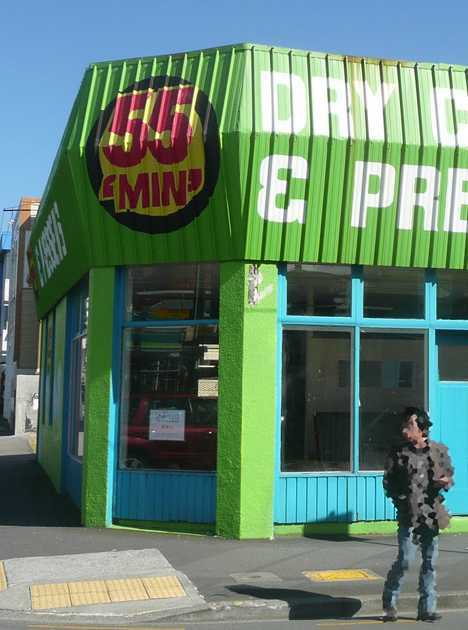 Then get your act to Wellington, New Zealand where the 55’MIN’ dry cleaners will have your formal duds delightfully decontaminated in under an hour. What’s that you say? The store on Wellington’s historic Cuba Street was officially declared to be an Earthquake Prone Building in 2011 and as such was forced to close? Consider it a Tacastrophe! Kudos to Eye Of The Fish for the brilliantly bilious image above. Before the advent of non-toxic Martinizing in 1949, dangerously flammable solvents were used in the dry cleaning process. Due to the nature of the chemicals used, cleaning was usually done off-site and typical turnaround times were measured in days. 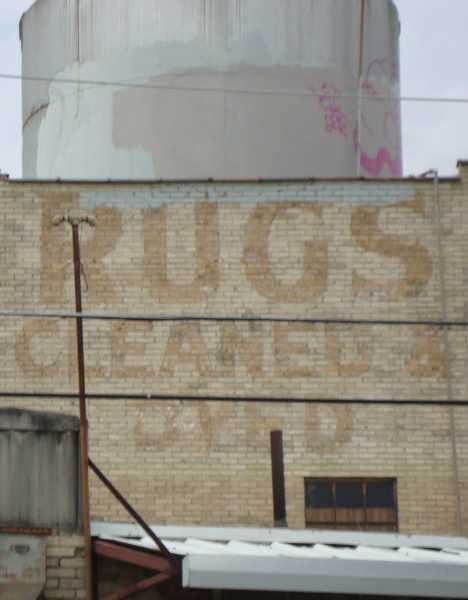 Usually, but not always: the former Slater-White Cleaners in San Antonio, Texas houses a host of stained and rusting tanks on the premises that may or may not still contain toxic solvents. 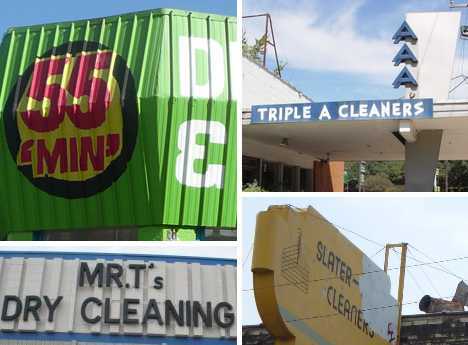 Full props to Geography of Empty Spaces for documenting the current (as of October 2010) status of Slater-White Cleaners, which happens to be abandoned and deteriorating. This is bad news for Obama, er, the elementary school located just across the street. And by “it”, we mean a dry cleaning shop abandoned so long the street numbers have fallen off the outside walls along with most of the paint. 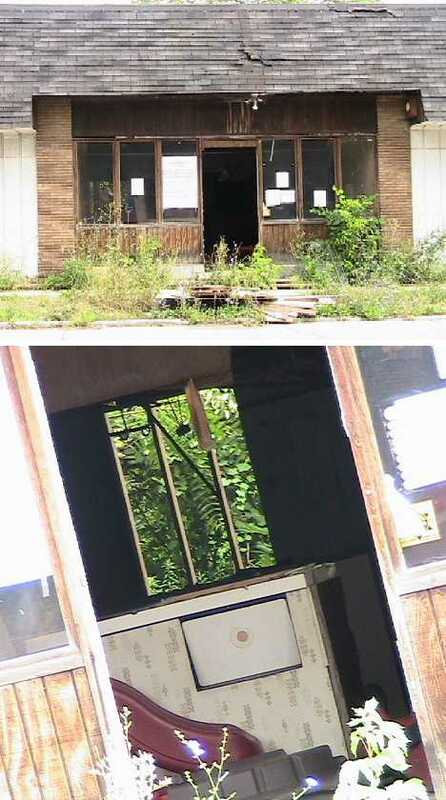 Several concerned citizens (yes, there are still a few) have posted photos of the decrepit and now doorless cleaners to SeeClickFix in the hope that Pontiac authorities will see and subsequently fix it. Judging by the shop’s obvious state of advanced decay, however, this is one dry cleaners that’s been taken to the cleaners… and won’t be coming back.